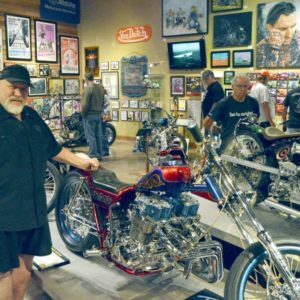 Take a walk into history at the National Motorcycle Museum during Vintage Rally each year in June! New exhibits, bike show, swap meet, a stunt rider, vendors, and great old bikes galore await you on the grounds. AND the Museum is right there so you can check out the latest new displays, too!